So much for Cinco de Mayo. Parker had other plans... and they were to come two days before his due date. Now that I know him, I can't imagine having gone another day without him in our lives. 12:30am - Started timing painful contractions. They were about 8-9 minutes apart, but coming regularly. 2:00am - Woke Sam up to let him know I'd been timing painful contractions for the last hour and a half. They were about 6-7 minutes apart now. He turns on the tv. 3:30am - Arrive at the hospital, we are put in an exam room and my contractions are monitored along with Parker's heartrate. Contractions are about 4-5 minutes apart now and HURT. 4:30am - Nurse tells us to go walk around the hospital halls to try and speed things up. Easy for her to say. Ouch. My water breaks while walking around the hall. Wow, this is happening. 5:00am - We are admitted to the hospital and put in a delivery room. All I can think about in between contractions is "Where is the freakin' anesthesiologist? Get me an epidural!!" 5:30am - Epidural is put in. I could have kissed that man. I didn't though. 6:00am - 9:00am - Epidural is working amazingly. I'm able to rest my eyes and relax, and Sam turns on a movie. We watched Angels and Demons. 9:00am - Parker is making his way through my pelvis. This is called transition. It should have been called torture. I was made to lay on each side for 30 minutes with one leg up in a stirrup while super painful contractions come every 2-3 minutes. Sam and the nurse do an amazing job helping me breath through the contractions and I realize if I just don't lose my cool and really focus on breathing, I might make it through this. Jodi (Sam's little sister) and Jason (her husband) were here for the last 30 minutes of this. I hope I didn't scar Jodi from the birthing experience for life because of my full body convulsing. I shook like I was freezing to death throughout the entire labor. I wasn't cold though... they assured me it was normal. 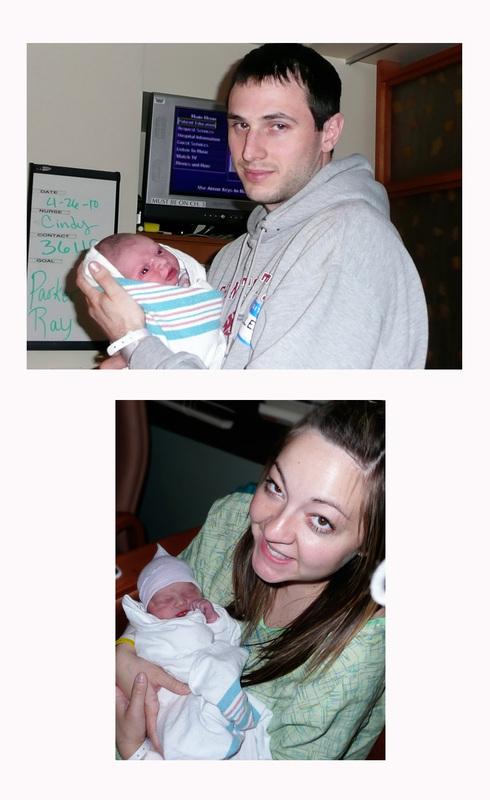 I think it was a mix of my body being in shock, me being the most emotional and freaked out I've ever been in my entire life, and the epidural. 10:00am - It's time to push. Jodi and Jason leave the room and it's just Sam, the delivery nurse and me. Pretty soon a 4th little guy will be joining us. Don't ask me where the doctor is. 10:30am - Parker's head is making progress on the outside. The nurse says it could be another hour or so. I tell her, you don't know how hard I can push. Or, at least that's what I was thinking. This is the worst pain I've ever felt in my entire life. 10:35am - I think I'm going to die. I tell Sam and the nurse I can't do it anymore. The nurse says I have to, this baby's coming. In my mind I realize if I don't buck up and do this something much worse will happen. 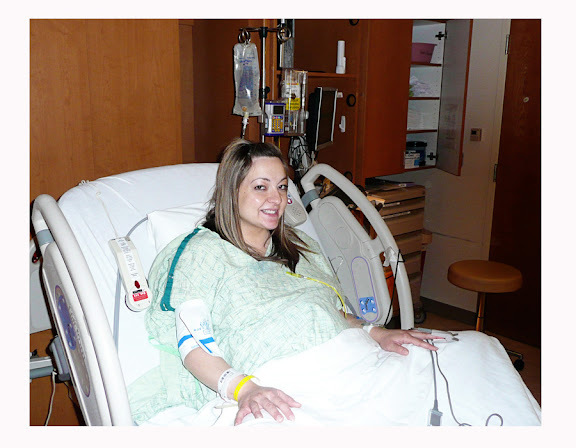 The baby will be stressed out and I would have to be whisked away for a c-section. I'm not sure where us women going through childbirth get the strength to do what has to be done in this situation. I was sure I was going to die.I also yell at Sam at this point to count through my contractions faster. He's counting like "1...2...3...4...5...6...7...8...9...10." I really would have preferred "1-2-3-4-5-6-7-8-9-10." But alas, the contractions nor the counting got any faster. 10:43am - The baby's head is stuck at the largest point. This is referred to the "Ring of Fire." The nurse says it's the hardest part and I need to push faster inbetween breaths or he'd make backwards progress. I scream as loud as I can (yeah, it was like a bad labor scene in a movie) and push like my life (and my baby's life) depended on it. 10:44am - Parker Ray Nielson is born. Yup. There was no stop at the shoulders, there was no turning of the baby. His head shot out, and out shot his entire body along with it. The nurse yelled at the top of her lungs for the doctor, who immediately came running in. Sam jumps up and yells, "He's here! He's here! You did it! "Both of us thought what had happened was totally normal, until we realize the doctor hadn't been there and the nurse was freaking out about how quickly he had shot out. 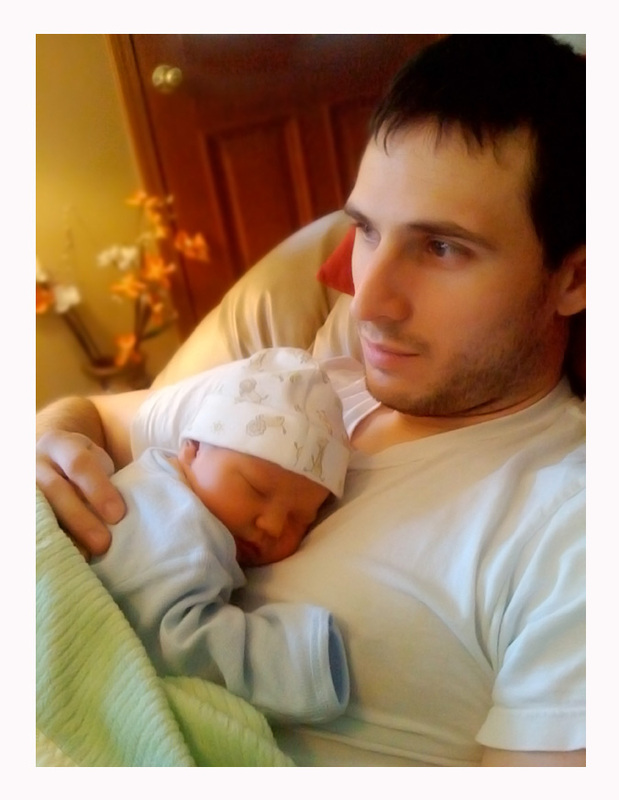 Parker was immediately placed on my chest and was crying the most beautiful cry I've ever heard. He was totally ok. I wasn't. Babies aren't supposed to come out that fast, and I had sustained a 4th degree tear. I don't need to explain what that means, just know that it comes along with a lot of pain and stitches. 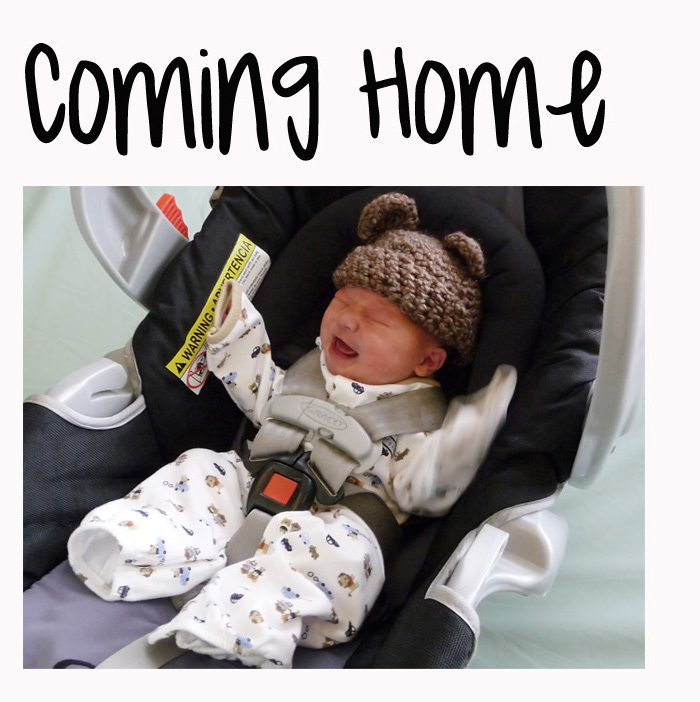 But, I'm totally recovering well and if that's the worst thing I have to go through to get this PERFECT little baby boy home with us, I would do it a million times more. Parker has been such an amazing baby and has the sweetest little personality. I know he's only 5 days old, but already I feel like he's grown a ton. Everyday he opens his eyes a little wider and makes a new face. It has been amazing getting to know him, and watching Sam and me getting to know ourselves as parents. Having him in our house has been fun, and a huge adjustment. Sam has been amazing, and Parker has been very forgiving with our fumbling hands and amateur clothes-changing abilities. But we're learning quickly and I'm so thankful for natural maternal instincts that make it easier than I could ever imagined to love and care for this little baby who is so dependent on me to live. This little boy is so loved. First. Congratulations guys! We've wanted to call and talk to you guys so bad but figured you'd probably need your rest right now. Can't wait to meet little baby Parker. On the note of little Parker coming out so fast, it reminds me of Ricky Bobby. I think hes destined to be a race care driver. I'm so happy for you and I did love that Sam jumped up and down when Parker came out. So awesome. YAY! I've been waiting for this post! I'm so proud and excited for you. Reading your post I totally remember the shaking. I'd forgotten about it until I read that. 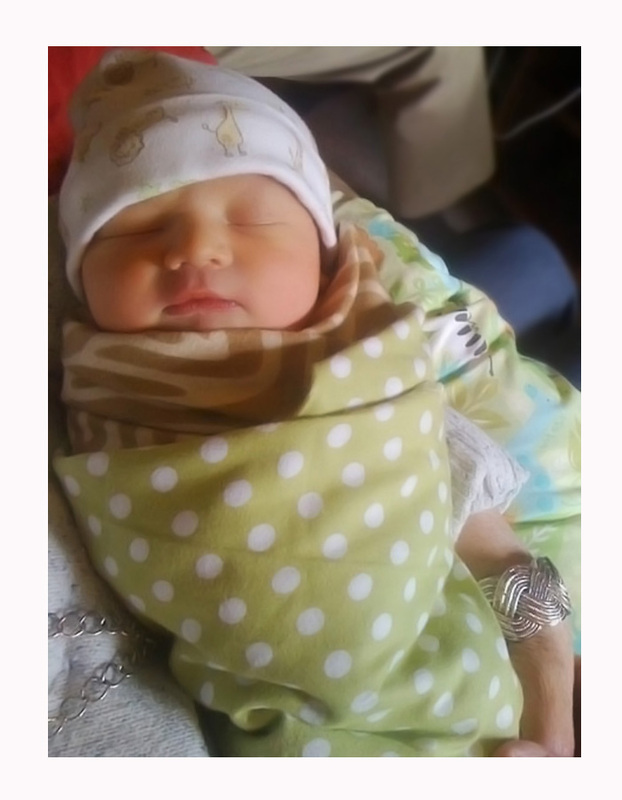 You have a beautiful baby boy and I love the pictures! So sorry about that tear! I can only imagine the discomfort! But it is all worth it for that little one isn't it! Love him! I'm sure you will! Whoops! That last post was supposed to be me! Are you tired of no sleep yet? Amy i'm so proud of you! Feel bad you ripped, but great job. Everything you do in your blog i wish i would have thought of first lol But i can't keep up on my blog updated that well. Parker is gorgeous ! And i know you and Sam will (and already are) great parents! Yay! I'm so glad you posted your labor story. I love reading them, too. I let out an audible "Ouch!" when I read about your 4th degree tear. I've had tearing before, but nothing that bad. *shudder* Hope you heal quickly!! 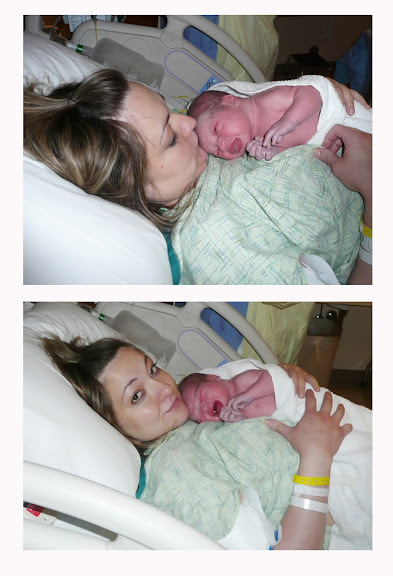 I'm kind of surprised that you felt so much pain with your epidural. Did it not work or something? 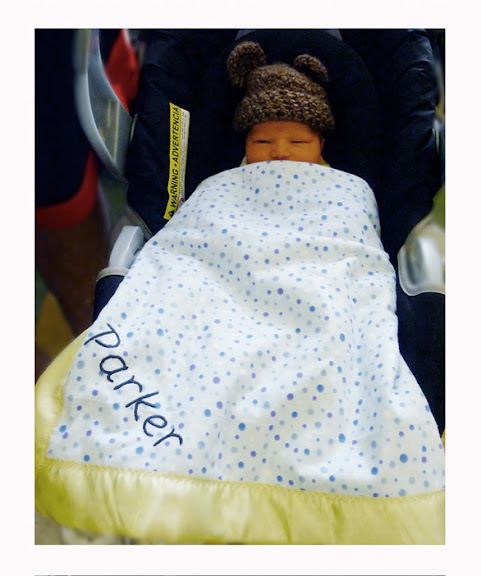 I love all the pictures of Parker. He is Super Cute!! I'm so excited to come see you guys this summer! I just want to kiss his little cheeks!! Wow, I almost delivered without the doctor, I can't imagine doing it without him there. I started moving really fast like you did at the end, but hey, as long as they come out healthy who cares. So exciting and good work! BTW, he's a cutie too. 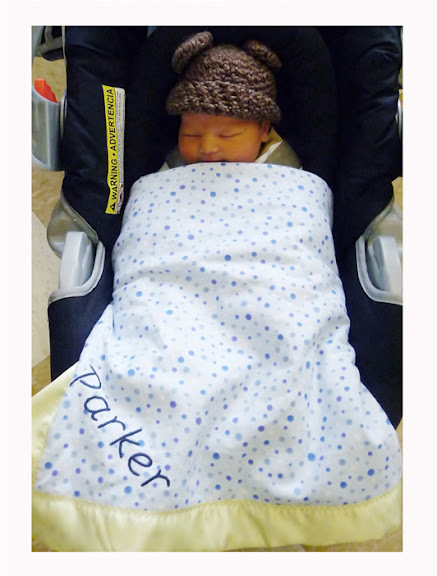 Welcome Parker! :) What a cute little guy. Hope you are getting some sleep! Oh Amy! What a precious little baby boy! He is so sweet. I am so happy for you and Sam. You already look like a perfect little mommy. We can't wait to see you and you and you new growing family! What a beautiful baby boy! Congratulations! Loved reading your play-by-play! I hope you're recovering well! A 4th degree tear - man,that's rough! Matt want's to make sure that I give you the link to this youtube clip that really has helped us out with those late night crying bouts... check it out - it really works! http://www.youtube.com/watch?v=ddRkI5wVIqQ Again, congratulation! ditto on the question about the epidural...why were you hurting so much? i was totally in zen-land until a little pain at the very end. love, love, love that first week. cherish it because they don't snuggle for long...at least mine didn't. ps i'm totally impressed that you actually used the words ring of fire somewhere so public. way to go buddy! Oh, and we have tried the link that your friend posted about the happiest baby on the block. It's pretty cool. I hope it helps! Wow! I am so glad that he is here and healthy, but you should NOT have felt that much. I am curious who your anesthesiologist was. I had a very similar experience when I had Sarah and it rates pretty high on my list of most traumatic experiences. My anesthesiologist was Dr. Johnson and I wonder if she just can't get it in there quite right. All that aside, he is so stinkin' cute. I hope to see him sometime soon. And I hope you are healing well and quickly. Tell Sam we are glad he got his Home Teaching done when he did. Photoshoot, 1 Month Old, & "Sister's Weekend"